Vaughan SC products - goalkeeper Dayne St. Clair (University of Maryland) and defender Kamal Miller (Syracuse University) - were picked up by Minnesota United FC and Orlando City SC respectively in today's MLS SuperDraft 2019. St. Clair made waves for Maryland in the 2018 NCAA College Cup, guiding his team to the title with an incredible five clean sheets. He had 13 clean sheets on the season and a Goals Against Average (GAA) of .66. St. Clair's "safe-hands" reputation with the Terrapins certainly preceded him in the SuperDraft, as he went 1st Round, 7th overall. "I tell him all the time that he's the second best Canadian player to play there," said his former League1 Ontario head coach at Vaughan (and current assistant coach at CPL side, York), Carmine Isacco - himself a former University of Maryland goalkeeper. "Sasha Cirovski - the head coach at Maryland - is very particular about the players that he brings in and has the pick of the players there, including the American national team players," he added. "But you can see that Dayne wins. He is at his best when he needs to be at his best and that's the most important thing about keepers. He went five games in a row in the NCAA tournament and didn't allow a goal. He was fantastic at organizing his team in front of him too. The kid's a straight winner and I think Sasha recognized that." A native of Ajax, Ontario, St. Clair joined Vaughan SC at 16 years of age and immediately made an impression. "He was playing L1 Cup Finals, played over mature keepers, and that really built who he was," explained Isacco. "We just trusted him. He's not your prototypical super-disciplined player, but he's got what I love in a keeper - a lot of personality, a lot of swagger and a lot of confidence. He's just got that ability to gather people and make them better." 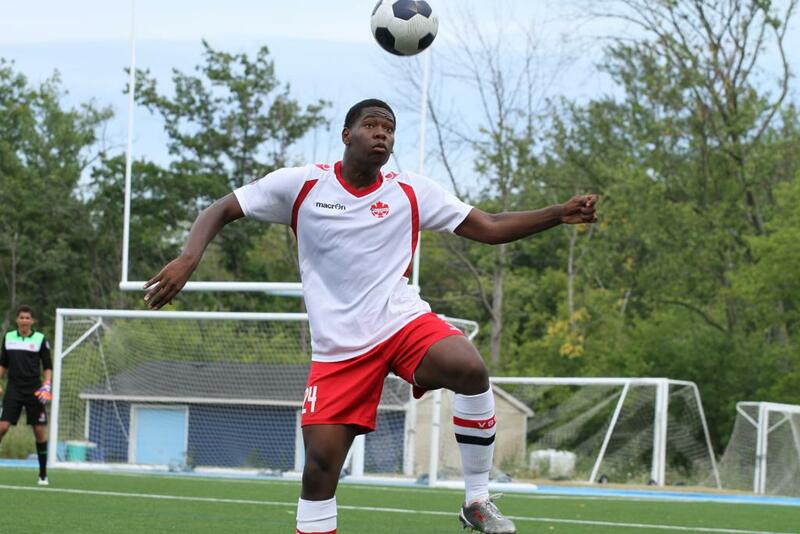 In his teammate at Vaughan, centre-back Kamal Miller, St. Clair found a perfect foil. A fellow east-GTA native, Miller pushed St. Clair just as hard as the keeper was known to do with his teammates. 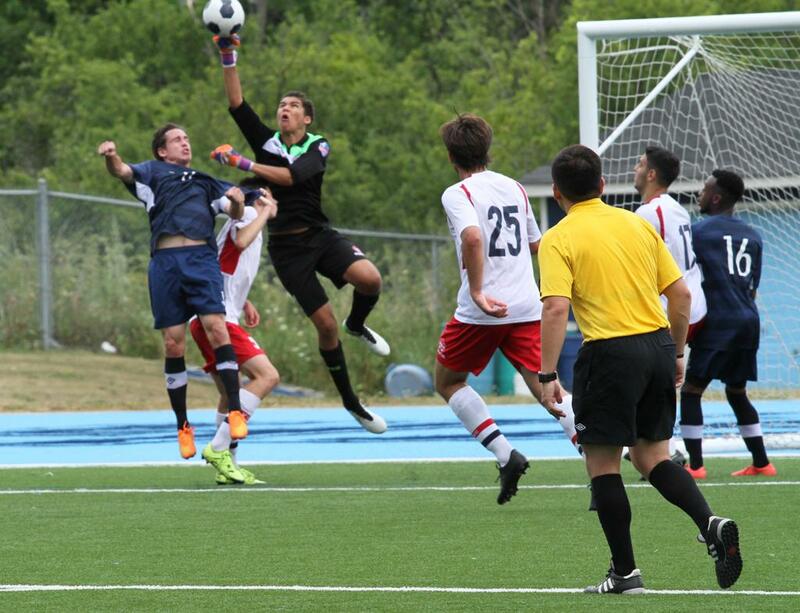 It was a match made in heaven for the Vaughan Azzurri. "You know when Kamal came, Kamal kept Dayne accountable and Dayne kept Kamal accountable," recalled Isacco. "They are like the best of friends and the worst of enemies." "The dynamic between those two is just amazing, they just challenge each other," he continued. "It's like two brothers trying to outdo each other. It's fantastic how they supported each other and had that brother dynamic. That made them both better." Miller finished his final year at Syracuse University before going 2nd Round, 27th overall in today's SuperDraft to Orlando City. As Isacco explained, it was all by design from his former defensive leader. "He's focused himself on being a pro in every way," said Isacco. "He didn't leave school early and so has made it the right time for him as well, as far as his mental, tactical and technical growth." "All of those things were important to him and he's incredibly mature about that. He's very prepared and every move he has made has set him up to be a pro player. His ability to know and be mature about situations on and off the field is what defines him." A mobile and quick-thinking centre-back, Miller's attacking game was a secret weapon for the Azzurri - breaking defensive pressure from opposing forwards by driving into midfield, picking out a perfect through ball or diagonal, or being the focal point of attacking set-pieces. Miller set himself out to master all aspects of the game in his pursuit of pro status. "His upside in the attacking part of the game is what I think people are going to look at him for and his ability to be aware tactically of situations," said Isacco, "but he knows how to defend man down, box defend, or deal with aerial battles as well." "This unique combination of skills will be very appealing to a lot of MLS coaches, for sure."